Juliana Marie Vallandingham, “Judy”, 72 of Mechanicsville, MD passed away on February 4, 2019 in Leonardtown, MD. Born on February 2, 1947 in Washington, DC she was the daughter of the late Mary Delia Davis and Philip Henry Davis. Judy was the loving wife of late Stephen Guy Vallandingham who preceded her in death on January 20, 2015. She is survived by her children; Stephen Davis Vallandingham of California, MD, Jessica Vallandingham Myers (Ryan) of Mechanicsville, MD and Mary Ann Burroughs of Mechanicsville, MD. 5 grandchildren; Susan Vallandingham (Bobby), Donald Burroughs, Jr. (Hannah), Cathy Kershaw (Chris), Stephen Riley and Madison Vallandingham. 8 great-grandchildren; Trent, Delia, Levi and Colby Vallandingham, Lane and Maci Burroughs and Leroy and Ernest Kershaw. Siblings; Hazel Stultz and Catherine Fowler. Best friend, Merlene Goldsborough and many relatives and friends. Judy was a lifelong St. Mary’s County MD resident. She graduated from St. Mary’s Academy and Churchman Business College. 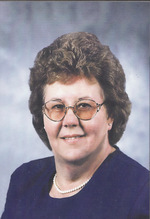 Judy was employed as a secretary for Test & Evaluation Group, NAWCAD for 31 years, retiring on October 2, 2010. Judy was an organist who loved music, dancing, yard sales, gardening and most of all loving her family. The family will receive friends on Tuesday, February 12, 2019 from 5:00 PM – 8:00 PM with prayers recited at 7:00 PM in the Mattingley-Gardiner Funeral Home Leonardtown, MD. A Mass of Christian Burial will be celebrated on Wednesday, February 13, 2019 at 10:00 AM in St. Aloysius Catholic Church Leonardtown, MD with Father David Beaubien officiating. Interment will follow in St. Joseph Catholic Cemetery, Morganza, MD. Pallbearers will be; Bobby Vallandingham, Donald Burroughs, Jr., Chris Kershaw, Tommy Fowler, David Fowler and Ryan Myers. Honorary Pallbearers will be; Jamie Hall, Timmy Vallandingham and Bryan Henry. Contributions may be made to Mechanicsville Vol. Rescue Squad P.O. Box 15 Mechanicsville, MD 20659. To send flowers to the family of Juliana Marie "Judy" Vallandingham, please visit our Heartfelt Sympathies Store.